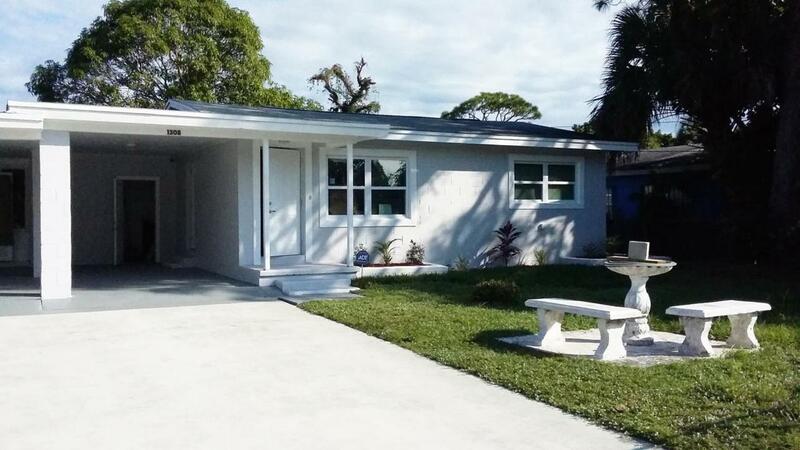 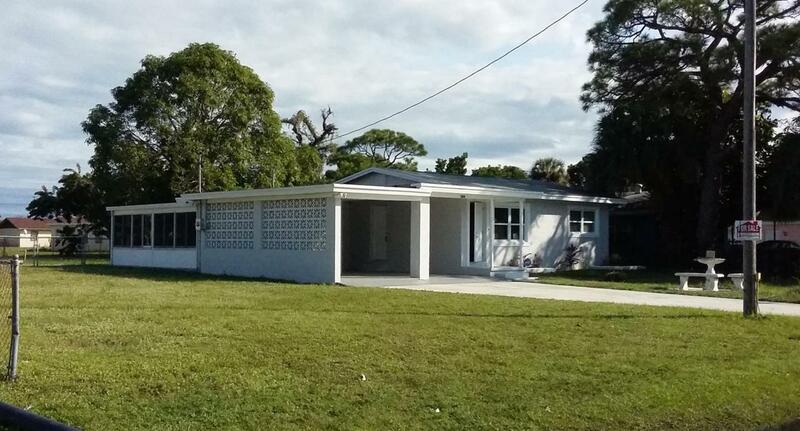 Bare bones remodel - everything new: CBS home, 4 Bedroom/2 bath, laundry room with 2 entrances, 2 enclosed XL carports, Low-E Impact (Hurricane) windows & doors, New AC system and duct work, all glass sun room, FL approved roof, LED lighting throughout. 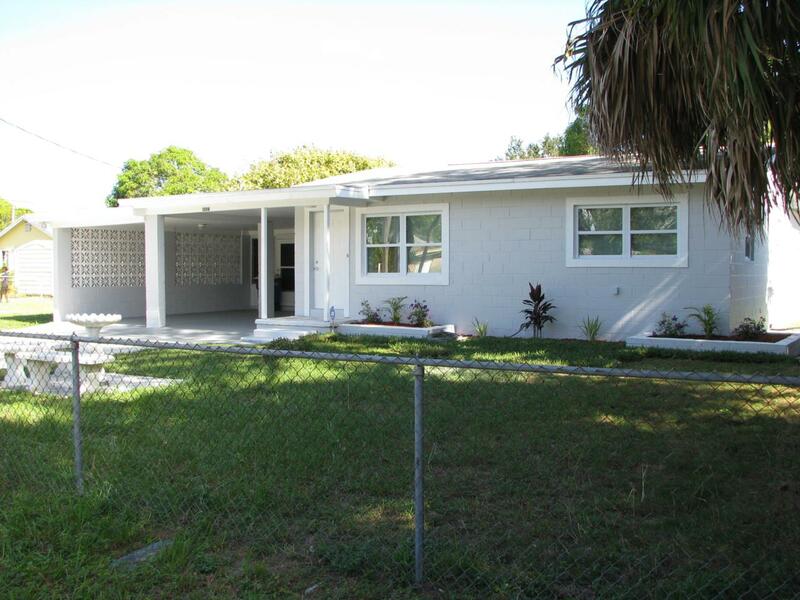 ALL NEW insulation (walls and ceiling), drywall, flooring and tile, baseboards, new interior doors and hardware, electric & plumbing fixtures, all new cabinetry (kitchen and baths), kitchen backsplash & countertops, full bath remodels, dual flush 1 gallon ADA height toilets, low flow faucets, new bath accessories, Camera security system in place, outside motion detection lighting, smoke detectors, new appliance package offering, new interior/exterior paint and primer, landscaping. 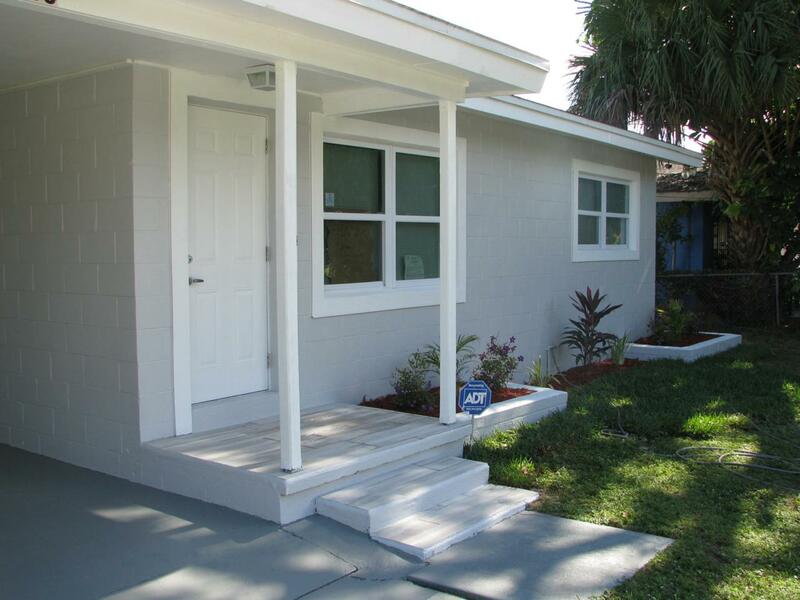 Schools, parks and shipping nearby, close to downtown.